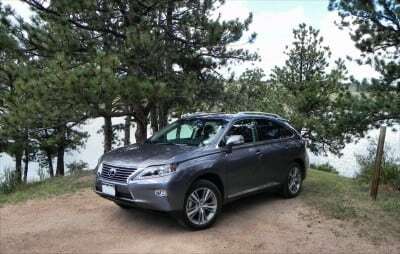 The 2015 Lexus RX 450h is a well-built, nicely balanced hybrid crossover that offers plenty of room and comfort for the family along with solid drive dynamics for the short about-town run or long road trip. As the first hybrid luxury crossover SUV on the market, the RX has been a trailblazer for a decade now, though other luxury automakers have taken note and are now offering their own hybrid crossovers. 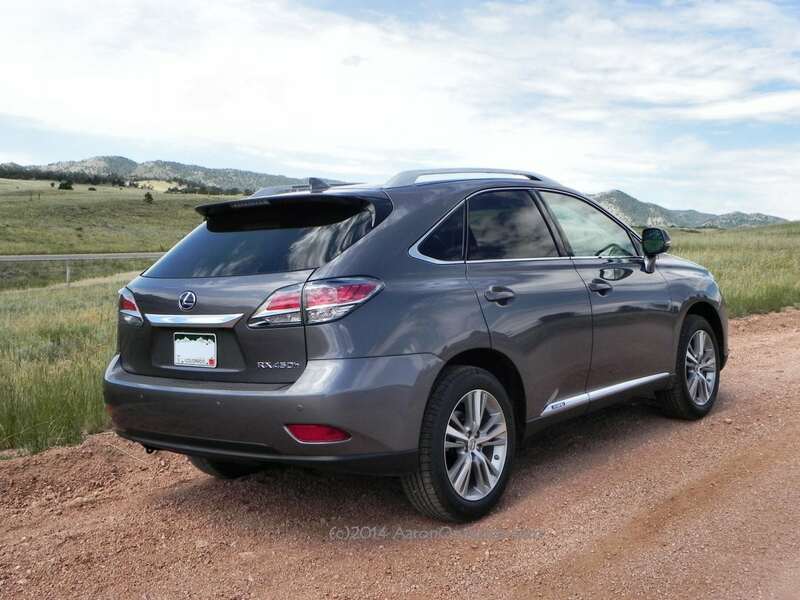 The 2015 Lexus RX 450h is a fine mixture of high fuel economy, refined performance, and a well-considered cabin. 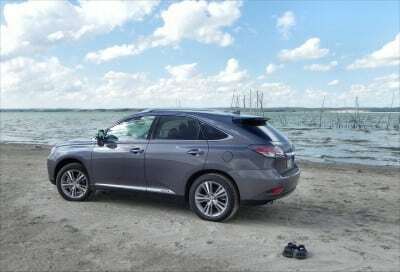 During our week test driving the RX 450h, our family traversed highways, freeways, dirt roads and beaches. The Lexus was always ready and had strong family-friendly features to keep road time comfortable. 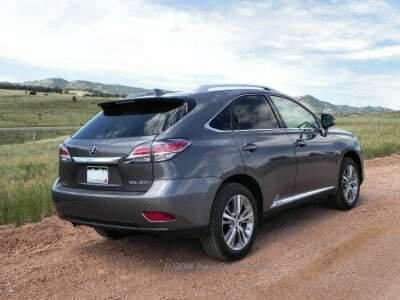 The Rx 450h is the hybrid version of the Lexus RX 350, which we reviewed in its F-Sport package earlier this year. The strong suite for a luxury crossover hybrid like this is, of course, fuel efficiency. 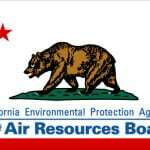 Although luxury buyers probably do not sweat costs at the pump, some are environmentally concerned or just prefer to drive further between fill-ups. The Lexus RX 450h offers 28 mpg on the highway (in all-wheel drive) and 30 mpg in the city for a combined 29 from the EPA. The front-wheel drive option for the 2015 RX 450h offers 30 mpg combined. This fuel economy is thanks in no small part to Toyota’s long experience with hybrid powertrains. In the Lexus, a 3.5-liter V6 combines with a continuously variable transmission (CVT) and electric motors to provide propulsion. In the 2WD version, there are two motors, one acting as a starter-generator. In the AWD option, there are three, one still acting as a starter-generator and the other two driving the front and rear axles separately. 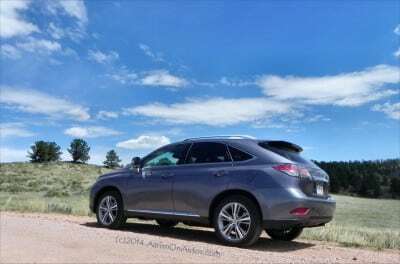 This puts out a total of 295 horsepower, which is more than enough to make the 2015 Lexus RX 450h feel sporty and responsive. 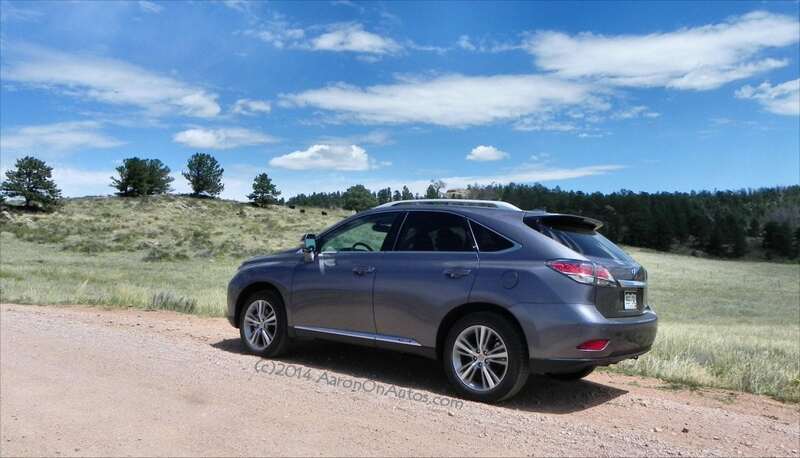 Out on the road, the 2015 RX 450h has a compliant, comfortable suspension and near-zero road noise. 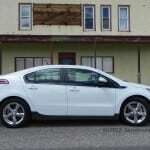 The driver generally has no indication, outside of dashboard lights, of whether the crossover is in hybrid, electric-only, or other modes. 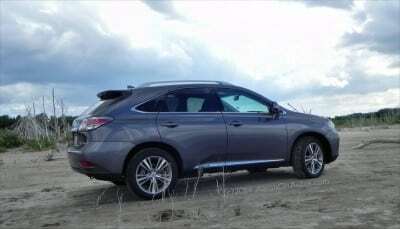 Acceleration feels slower than the RX 350 F-Sport, but not overly so and the ride is comfortable and well-mannered. In town, the steering is a bit heavy, but maneuverability is very good in this luxury crossover. As a hybrid, the RX 450h often becomes completely silent in the parking lot, switching to EV mode at low speeds. 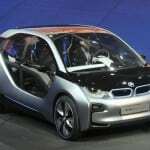 At no time does the driver feel the engine shut off, however, alleviating the knee-jerk response of a “stalled” engine that might come with some hybrid offerings. The interior of the RX 450h is beautifully upscale. Exceptional build quality is apparent throughout and few will find fault with the choice of materials and workmanship here. Authentic wood, high-quality leather, and a beautiful Mark Levinson sound system (optional) adorn the cabin. Front seat adjustment is good with enough range to make the shortest or tallest comfortable. Driver and passenger position memory is a nice bonus. Amazingly, the rear seats are also very adjustable, giving a high amount of comfort for passengers in the second row. They also fold in a 40/20/40 configuration to double cargo space from an already-ample 40 cubic feet in the rear. The only missing point in the RX 450h is a third row option. In the cargo space, tie-downs and “milk jug” trays are built-in and prove to be useful. The flat loading area and wide opening make for good ergonomics. During our time at the beach, the 2015 RX 450h proved a good tailgate vehicle. Like most luxury crossovers, the RX 450h is not built for heavy offroad use, but it proved capable enough to traverse unpaved roads and the hard-packed sand of the beach at a Nebraska lake. The CVT makes no struggle in these conditions and the RX felt sure-footed, even on washboard roads. Rivals for the RX 450h include the Infiniti Q60 Hybrid, the Porsche Cayenne Hybrid, and the Audi Q5 Hybrid. All have strengths and weaknesses as compared to the RX 450h and most are as well-made and luxurious. The QX60 offers a third row, the Cayenne is sportier, and the Q5 has more luxurious fittings (at a price). The RX 450h, however, is the most fuel efficient of the bunch. Efficient and family-friendly. At the price point of the 450h, efficiency is key and this crossover nails it. Strong ergonomics for everyday use show that Lexus has learned from its family-oriented Toyota counterparts. While roomy, the RX 450h is not overly spacious if more than four people are getting in. Lexus Remote Touch System still a bit clunky. For the luxury crossover buyer with an eye towards fuel efficiency, it’s hard to argue with the total package that the 2015 Lexus RX 450h brings. 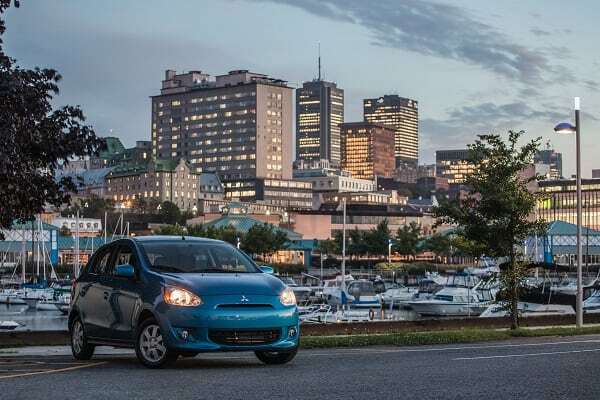 It’s well-considered, luxurious, smart, and provides a nice drive. The RX 450h was a manufacturer’s press loan for about a week. 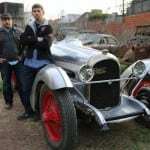 During that time, we put about 400 miles on the vehicle with a mixture of town, highway, and light offroad driving. Weather ranged from sunny to rain during our test period.